How Much Vitamin D for Babies? Alcoholism, ankylosing spondylitis, anorexia nervosa, anticonvulsant-induced osteomalacia, BMD, bone mineral density, bulimia, cartilage, corticosteroid, Crohn's disease, Cushing's disease, cystic fibrosis, dal photon absorptiometry, DEXA, diuretics, DPA, dual-energy X-ray absorptiometry, eating disorders, estrogen, fracture, gastrectomy, hepatic osteodystrophy, hormonal replacement therapy, HRT, hyperparathyroidism, hyperthyroidism, hysterectomy, I.U., International unit, juvenile osteoporosis, Kashin-Beck disease, kyphoplasty, kyphosis, menopause, oophrectomy, osteochondrosis, osteomalacia, osteopenia, osteopenic, osteoporotic, parathyroidectomy, P-DEXA, peak bone loss, peripheral dual-energy X-ray absorptiometry, postmenopausal, progestin, QCT, quantitative computer tomography, renal osteodystrophy, selective estrogen receptor modulators, SERMS, skeletal fluorosis, single-energy X-ray absorptiometry, smoking, smoking cessation, SXA, testosterone, ultrasound, vertebroplasty. Osteoporosis is a disease of the bones that makes them weak and prone to fracture. Osteoporosis is considered a silent disease, because bone loss itself is gradual and painless. There are usually no symptoms to indicate that a person is developing osteoporosis early in the condition. Bone is living tissue that is in a constant state of formation and resorption. Bone resorption is the gradual loss of bone. As individuals age, formation lessens and after a peak bone mass is achieved, bone mass remains stable (resorption and formation are equal). Osteoclasts are the principal cells responsible for bone resorption. By their mid-30s, most individuals begin to gradually lose bone strength as the balance between bone resorption and bone formation shifts, so that more bone is lost than can be replaced. As a result, bones become less dense and structurally weaker, called osteopenia. Osteopenia refers to mild bone loss that is not severe enough to be called osteoporosis, but that increases the risk of developing osteoporosis. As this occurs, bones lose calcium, phosphorus, boron, and other minerals and become lighter, less dense, and more porous. This makes the bones weaker and increases the chance that they might break. If not prevented or if left untreated, osteopenia can progress painlessly into osteoporosis until a bone breaks or fractures. Although any bone is susceptible to fracture, the most common fractures in osteoporosis occur at the spine, wrist, and hip. Spine and hip fractures in particular may lead to chronic pain, long-term disability, and even death. Osteoporosis is more common in older individuals and non-Hispanic white women, but can occur at any age, in men as well as in women, and in all ethnic groups. According to the National Osteoporosis Foundation, about eight million women and two million men in the United States have osteoporosis. Those over the age of 50 are at greatest risk of developing osteoporosis and suffering related fractures. In this age group, one in two women and one in six men will suffer an osteoporosis-related fracture at some point in their life. Significant risk has been reported in people of all ethnic backgrounds. While osteoporosis is often thought of as an condition found in older individuals, it can strike at any age. 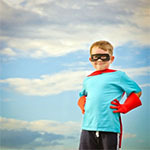 Osteoporosis may also affect children, although it is rare. This is called juvenile osteoporosis. Juvenile osteoporosis is usually due to a medical condition, such as a thyroid condition or Cushing's disease (a rare condition involving insufficient adrenal hormone output), or medications, including corticosteroids. It's a significant problem because it occurs during the child's prime bone-building years. Conditions that may cause bone loss include osteomalacia, osteochondrosis, Kashin-Beck disease, and skeletal fluorosis. Osteomalacia is a softening of the bones, resulting from defective bone mineralization. Osteomalacia may cause pain, weakness, and fragility of the bones. Osteomalacia is caused by insufficient nutritional quantities or faulty metabolism of vitamin D or calcium, following a parathyroidectomy (removal of the parathyroid gland), or in other conditions such as cystic fibrosis, renal osteodystrophy (failure of kidneys to maintain adequate blood nutrients for bone), and hepatic osteodystrophy (failure of the liver to produce adequate vitamin D). Kashin-Beck disease is a disorder of the bones and joints of the hands, fingers, elbows, knees, and ankles of children and adolescents who slowly develop stiff deformed joints, shortened limb length, and short stature due to necrosis (death) of the growth plates of bones and of joint cartilage. Osteochondrosis is a disease that affects the progress of bone growth by killing bone tissue. Osteochondrosis is seen only in children and teens whose bones are still growing. Osteochondrosis is an inherited condition. Individuals with osteochondrosis nearly all have pain in the location of the bone damage. Some may involve considerable swelling, limping, bending, or kyphosis (exaggerated curve) of the upper spine. Skeletal fluorosis is the chronic intake of excessive fluoride. Skeletal fluorosis can lead to severe and permanent bone and joint deformations. This can lead to softening of the bone and increases in fractures. Skeletal fluorosis should not occur with fluorinated water or toothpaste use. In the early stages of bone loss, there usually is no pain or symptoms. Once bones have been weakened by osteoporosis, signs and symptoms may include: back pain, which can be severe with a fractured or collapsed vertebra; loss of height over time, with an accompanying stooped posture; and fracture of the vertebrae, wrists, hips, or other bones. While limb fractures (such as wrist or hip) are obvious, spine fractures can be more difficult to diagnose. Spinal fractures might either be painless, or if there is pain, a person may not know it is caused by a fracture because there are so many different causes of back pain. More obvious signs of spine fractures are loss of height and development of kyphosis or a curved upper back, sometimes called a dowagers hump. Bone mineral density (BMD): Bone mineral density (BMD) is a measurement of the amount of calcium in the bones. Various diagnostic tests exist to determine BMD in individuals susceptible to osteoporosis, such as dual-energy X-ray absorptiometry or DEXA. The National Osteoporosis Foundation recommends a bone density test in women if they are not taking estrogen and any if the following conditions apply: they are taking medications such as corticosteroids (prednisone (Deltasone®) that can cause osteoporosis; they have type 1 diabetes, liver disease, kidney disease, or a family history of osteoporosis; they experience early menopause; they are postmenopausal (older than 50) and have at least one risk factor for osteoporosis; and if they are postmenopausal (older than 65) and have never had a bone density test. Doctors do not generally recommend osteoporosis screening for men because the disease is less common in men than it is in women. Dual-energy X-ray absorptiometry (DEXA): DEXA is the most accurate way to measure BMD. DEXA uses two different x-ray beams to estimate bone density in the spine and hip. Strong, dense bones allow less of the x-ray beam to pass through them. The amounts of each x-ray beam that are blocked by bone and soft tissue are compared to each other. DEXA can measure as little as 2% of bone loss per year. It is fast and uses very low doses of radiation but is more expensive than ultrasound testing. Single-energy x-ray absorptiometry (SXA) uses one x-ray beam and may be used to measure heel and forearm bone density. SXA is not used as often as DEXA due to less accuracy. The results of the DEXA test are scored in comparison to the BMD of young, healthy individuals, resulting in a measurement called a T-score. If the T-score is -2.5 or lower, the individual is considered to have osteoporosis and therefore at high risk for a fracture. T-scores between -1.0 and -2.5 are generally considered to show osteopenia. The risk of fractures generally is lower in individuals with osteopenia when compared with those with osteoporosis but, if bone loss continues, the risk for fracture increases. Peripheral dual-energy X-ray absorptiometry (P-DEXA): Peripheral dual-energy X-ray absorptiometry (P-DEXA) is a type of DEXA test. P-DEXA measures the density of bones in the arms or legs, such as the wrist. P-DEXA cannot measure the density of the bones most likely to break, such as the hip and spine. P-DEXA machines are portable units that can be used in a doctor's office. P-DEXA also uses very low doses of radiation, and the results are ready faster than standard DEXA measurements. P-DEXA is not as useful as DEXA for finding out how well medicine used to treat osteoporosis is working. P-DEXA may be used in less serious cases of osteoporosis. Dual photon absorptiometry (DPA): Dual photon absorptiometry (DPA) uses a radioactive substance to measure bone density. The radioactivity passes through the body similar to an x-ray. DPA can measure BMD in the hip and spine. DPA also uses very low doses of radiation but has a slower scan time than the other methods. Quantitative ultrasound: Ultrasound uses sound waves to measure BMD, usually in the heel. If results from an ultrasound test find low bone density, DEXA is recommended to confirm the results. Machines pass the sound waves through air and some pass them through water. Ultrasound is quick, painless, and does not use potentially harmful radiation like X-rays. One disadvantage of ultrasound is it cannot measure the density of the bones most likely to fracture (the hip and spine) from osteoporosis. Quantitative computed tomography (QCT): Quantitative computer tomography (QCT) is a type of computed tomography scan that measures the density of a bone in the spine (vertebra). A form of QCT called peripheral QCT (pQCT) measures the density of bones in the arms or legs, usually the wrist. QCT is not usually used because it is expensive, uses higher radiation doses, and is less accurate than DEXA, P-DEXA, or DPA. X-rays: X-rays are low doses of radiation that are used to create an image of a body part, organ, or bodily system on film paper or fluorescent screens. X-rays show the alignment of the spine and may reveal degenerative joint disease, fracture, or tumor. X-rays cannot determine BMD, but can determine if a fracture has occurred. Fractures: Fractures are the most frequent and serious complication of osteoporosis. Fractures often occur in the spine or hips, bones that directly support weight. Hip fractures, the second most common type of osteoporotic fracture, usually result from a fall. Although most individuals do relatively well in recovery with modern surgical treatment, hip fractures can result in disability and even death from postoperative complications, especially in older adults. Wrist fractures from falls are also common. Complications from osteoporotic fractures include chronic pain (neck, lower back), compressed or collapsed vertebra, disability, depression, limited activity, dowager's hump, stooped posture, and loss of height. 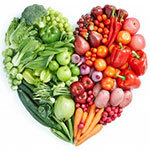 Dietary factors: It is important to that there is enough calcium in the diet for proper bone health. Healthcare professionals recommend calcium intakes of at least 1,000mg daily for everyone over eight years of age. Higher calcium intakes of 1,200mg daily are recommended for adults over 50 years and 1,300mg daily for teens nine to 18 years. 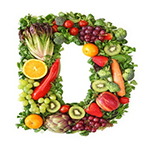 Adequate vitamin D intake is also important for calcium absorption and to maintain muscle strength. Healthcare professionals recommend 400 international units of vitamin D daily until age 60, then 600-800 international units per day after age 60. Doses can be adjusted by a doctor according to blood levels of vitamin D.
Milk and milk products are calcium-dense foods providing about 300 milligrams calcium per serving. These foods also contain other nutrients important to bone health such as vitamin D (if fortified), phosphorus, and magnesium. Approximately 73% of calcium in the food supply comes from dairy products, 9% from fruits and vegetables, 5% from grain products, and 12% from all other sources such as dietary supplements. Weight-bearing exercises: Exercise is an important treatment for osteoporosis to maintain healthy bones. Weight-bearing aerobic activities, involving the bones supporting body weight, have been shown to have a positive effect in maintaining and increasing bone mass and preventing osteoporosis. These activities include weight-lifting, jogging, hiking, stair-climbing, step aerobics, dancing, racquet sports, and other activities that require muscles to work against gravity. 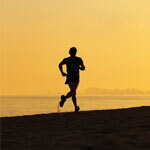 Swimming and simply walking, although good for cardiovascular fitness, are not the best exercises for building bone. Individuals who live a sedentary lifestyle have weaker bones and are subjected to a higher risk of sustaining fractures. Bisphosphonates: Alendronate (Fosamax®), risedronate (Actonel®), ibandronate (Boniva®), and zoledronate (Zometa®) are approved by the U.S. Food and Drug Administration (FDA) for the prevention and treatment of osteoporosis in postmenopausal women. Alendronate is a drug currently approved for management of osteoporosis in men. Both alendronate and risedronate are approved for the prevention and treatment of steroid-induced osteoporosis in men and women. Bisphosphonates help slow down bone loss and have been shown to decrease the risk of fractures. All are taken on an empty stomach with water. Because bisphosphonates have the potential for irritating the esophagus, remaining upright for at least an hour after taking these medications is recommended by healthcare professionals. Alendronate and risedronate can be taken once a week, while ibandronate can be taken once a month. An IV form of ibandronate, given through the vein every three months, also has been FDA-approved for the management of osteoporosis. Another IV bisphosphonate being studied for osteoporosis is zoledronic acid or zoledronate (Zometa®). This form is injected once yearly. Side effects, which can be severe, include nausea, abdominal pain, and the risk of an inflamed esophagus or esophageal ulcers, especially if the individual has had acid reflux or ulcers in the past. If individuals cannot tolerate oral bisphosphonates, the doctor may recommend the periodic intravenous infusions of a bisphosphonate. Use of bisphosphonates in women who are pregnant or breastfeeding is not well studied. Blood calcium levels in women who take bisphosphonates during pregnancy are usually monitored. Individuals using Boniva® injection will have blood levels of creatinine measured prior to each dose to determine kidney function. Creatinine is measured using blood tests. Calcitonin (Miacalcin®): Calcitonin is a naturally occurring hormone produced by the thyroid gland that can be given as an injection or taken as a nasal spray. Calcitonin also inhibits the function of the cells that breakdown bone, the osteoclasts. Calcitonin has long been known to be beneficial in individuals with osteoporosis, but the injections were difficult to administer and had unpleasant side-effects. The nasal spray has greatly improved the use of calcitonin, and it is much more commonly used today. Calcitonin has been reported to slow bone loss, and also decrease pain associated with osteoporosis fractures. Hormone replacement therapy (HRT): Estrogen therapy alone or in combination with another hormone, progestin, has been reported to decrease the risk of osteoporosis and osteoporotic fractures in women. However, the combination of estrogen with a progestin has been shown to increase the risk for breast and ovarian cancer, strokes, heart attacks, and blood clots. Estrogens alone may increase the risk of strokes. Healthcare professionals recommend weighing all options before choosing HRT as part of osteoporosis prevention. Selective estrogen receptor modulators (SERMs): Selective estrogen receptor modulators (SERMS) mimic the positive effects of estrogen on bones without some of the serious side effects such as breast cancer and stroke. Raloxifene (Evista®) decreases spine fractures in women, and is approved for use only in women at this time. Hot flashes are a common side effect of raloxifene, and individuals with a history of blood clots should not use this drug. Teriparatide (Forteo®): Teriparatide is a form of parathyroid hormone that helps stimulate bone formation. Teriparatide is approved for use in postmenopausal women and men at high risk for osteoporotic fracture. It is given as a daily injection under the skin and can be used for up to two years. If the individual has ever had radiation treatment or if parathyroid hormone levels are already too high, they may not be able to take this medication. Tamoxifen (Nolvadex®): Tamoxifen (Nolvadex®) is a synthetic hormone is used to treat breast cancer and is given to certain high-risk women to help reduce their chances of developing breast cancer. Although tamoxifen blocks estrogen's effect on breast tissue, it has an estrogen-like effect on other cells in the body, including bone cells. As a result, tamoxifen appears to reduce the risk of fractures, especially in women over age 50. Possible side effects of tamoxifen include hot flashes, stomach upset, and vaginal dryness or discharge. Vertebroplasty: Vertebroplasty is a minimally invasive procedure used to reinforce vertebrae with compression fractures. Compression fractures are common in individuals with osteoporosis. Vertebroplasty involves injecting an acrylic compound into the collapsed vertebra to stabilize the weakened bone. The procedure is performed in an operating room or radiology suite and treatment of each affected vertebra takes approximately one hour. Local anesthesia, usually lidocaine (Xylocaine®), is injected into the vertebra. Then, a small incision is made, and a bone biopsy needle is inserted. Several small syringes of the acrylic cementing material are then injected through the needle into the vertebra. The cement hardens almost immediately. Approximately 70-90% of individuals experience pain relief after vertebroplasty and most are released from the hospital the same day. Anti-inflammatory medications, such as ibuprofen (Motrin®, Advil®), may be used to relieve pain after the procedure. Complications from a vertebroplasty are rare. Bone cement may enter the lung, spinal cord, or epidural space surrounding the vertebra. Other possible complications associated with vertebroplasty include nerve irritation, punctured lung (pneumothorax), and spinal cord injury. Kyphoplasty: Multiple spinal compression fractures caused by osteoporosis may lead to height loss, kyphosis (extreme curvature of the spine), and pain. Kyphoplasty is a minimally invasive procedure that is used to restore the height of the vertebrae and stabilize weakened bone. Kyphoplasty cannot correct established spine deformities and is used in individuals who have experienced recent fractures, usually within two to four months. The procedure is usually performed in the hospital under local or general anesthesia and takes approximately one hour for each affected vertebra. A small incision is made and a fluoroscope (device that consists of a screen and an x-ray tube) is used to guide the insertion of a balloon catheter into the vertebra. The balloon is inflated slowly to raise the compressed vertebra and is deflated. An acrylic compound (cementing material) is then injected into the vertebra through a bone biopsy needle. The material hardens almost immediately. Pain relief usually occurs within two days. Most individuals are released from the hospital the day after kyphoplasty and can resume daily activities upon discharge. Strenuous activity, such as heavy lifting, should be avoided for at least six weeks. Calcium: Calcium is the nutrient consistently found to be the most important for attaining peak bone mass and preventing osteoporosis. Adequate vitamin D intake is required for optimal calcium absorption. Adequate calcium and vitamin D are deemed essential for the prevention of osteoporosis in general, including postmenopausal osteoporosis. Multiple studies of calcium supplementation in the elderly and postmenopausal women have found that high calcium intakes can help reduce the loss of bone density. Studies indicated that bone loss prevention could be achieved in many areas, including ankles, hips, and spine. Although calcium and vitamin D alone are not recommended as the sole treatment of osteoporosis, they are necessary additions to pharmaceutical treatments. Treatment of postmenopausal osteoporosis should only be done under supervision of a qualified healthcare professional. 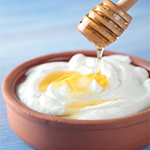 Avoid if allergic or hypersensitive to calcium or lactose. High doses taken by mouth may cause kidney stones. Avoid with high levels of calcium in the blood, high levels of calcium in urine, hyperparathyroidism (overgrowth of the parathyroid glands), bone tumors, digitalis toxicity, ventricular fibrillation (rapid, irregular twitching of heart muscle), kidney stones, kidney disease, or sarcoidosis (inflammatory disease). Calcium supplements made from dolomite, oyster shells, or bone meal may contain unacceptable levels of lead. Use cautiously with achlorhydria or irregular heartbeat. Talk to a healthcare provider to determine appropriate dosing during pregnancy and breastfeeding. Vitamin D: Adults with severe vitamin D deficiency lose bone mineral content ("hypomineralization") and experience bone pain, muscle weakness, and osteomalacia (soft bones). Treatment for osteomalacia depends on the underlying cause of the disease and often includes pain control and orthopedic surgical intervention, as well as vitamin D and phosphate binding agents. Vitamin D: Without sufficient vitamin D, inadequate calcium is absorbed and the resulting elevated parathyroid (PTH) secretion causes increased bone resorption. This may weaken bones and increase the risk of fracture. Vitamin D supplementation has been shown to slow osteoporosis and reduce fracture, particularly when taken with calcium. Black tea: Preliminary research suggests that chronic use of black tea may improve bone mineral density (BMD) in older women. Better research is needed to more clearly determine the effects of black tea for osteoporosis prevention. Avoid if allergic or hypersensitive to caffeine or tannins. Skin rash and hives have been reported with caffeine ingestion. Use caution with diabetes. Use caution if pregnant. Heavy caffeine intake during pregnancy may increase the risk of SIDS (sudden infant death syndrome). Very high doses of caffeine have been linked with birth defects. Caffeine is transferred into breast milk. Caffeine ingestion by infants can lead to sleep disturbances and insomnia. Infants nursing from mothers consuming greater than 500 milligrams of caffeine daily have been reported to experience tremors and heart rhythm abnormalities. Tea consumption by infants has been linked to anemia, decreased iron metabolism and irritability. 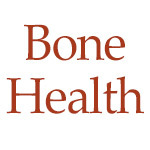 Boron: Animal and preliminary human studies report that boron may play a role in mineral metabolism, with effects on calcium, phosphorus, and vitamin D. However, research of bone mineral density in women taking boron supplements does not clearly demonstrate benefits in osteoporosis. Additional study is needed before a firm conclusion can be drawn. Avoid if allergic or sensitive to boron, boric acid, borax, citrate, aspartate or glycinate. Avoid with history of diabetes, seizure disorder, kidney disease, liver disease, depression, anxiety, high blood pressure, skin rash, anemia, asthma, or chronic obstructive pulmonary disease (COPD). Avoid with hormone-sensitive conditions like breast cancer or prostate cancer. Avoid if pregnant or breastfeeding. Calcium: Calcium supplementation above the normal daily dietary intake has not been shown to reduce stress fractures. Further studies are needed to better determine the role of calcium in bone stress injury prevention. 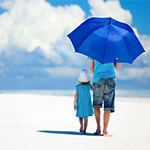 Rickets and osteomalacia (bone softening) are commonly thought of as diseases due to vitamin D deficiency; however, calcium deficiency may also be another cause in sunny areas of the world where vitamin D deficiency would not be expected. Calcium gluconate is used as an adjuvant in the treatment of rickets and osteomalacia, as well as a single therapeutic agent in non-vitamin D deficient rickets. Research continues into to the importance of calcium alone in the treatment and prevention of this condition. Treatment of rickets and osteomalacia should only be done under the supervision of a qualified healthcare professional. Calcium supplementation in patients on long-term, high-dose inhaled steroids for asthma may reduce bone loss due to steroid intake. Treatment using the prescription drug pamidronate with calcium has been shown to be superior to calcium alone in the prevention of steroid-induced osteoporosis. Inhaled steroids have been reported to disturb normal bone metabolism, and they are associated with a decrease in bone mineral density. Results suggest that long-term administration of high-dose inhaled steroid induces bone loss that is preventable with calcium supplementation with or without the prescription drug etidronate. Long-term studies involving more patients should follow to confirm these preliminary findings. Chromium: There is currently a lack of evidence for or against the use of chromium for the treatment of bone resorption and bone loss in postmenopausal women. Avoid if allergic to chromium, chromate, or leather. Use cautiously with diabetes, liver problems, weakened immune systems (such as HIV/AIDS patients or organ transplant recipients), depression, Parkinson's disease, heart disease, and stroke and in patients who are taking medications for these conditions. Use cautiously if driving or operating machinery. Use cautiously if pregnant or breastfeeding. Copper: Supplementation with copper may be helpful in the treatment and/or prevention of osteoporosis, although early human evidence is conflicting. Further research is needed before clear conclusions can be drawn. Avoid if allergic to copper. Avoid copper supplements during the early phase of recovery from diarrhea. Avoid with hypercupremia. Avoid with genetic disorders affecting copper metabolism (e.g. Wilson's disease, Indian childhood cirrhosis, or idiopathic copper toxicosis). Avoid with HIV/AIDS. Use cautiously with water containing copper concentrations greater than 6 milligrams/liter. Use cautiously with anemia, arthralgias, or myalgias. Use cautiously if taking birth control pills. Use cautiously if at risk for selenium deficiency. Doses that do not exceed the recommended dietary allowance appear to be safe during pregnancy and breastfeeding. Creatine: Creatine is an amino acid that is found in the muscles. Early studies examining the effect of creatine in aging suggest that creatine may increase bone density when combined with resistance training. Further studies in which creatine alone is compared with placebo are needed. Avoid if allergic or hypersensitive to creatine. Early research suggests that creatine may reduce muscle cramps that are often associated with hemodialysis. However, further studies are needed to confirm this claim. Avoid if taking diuretics (e.g. hydrochlorothiazide or furosemide). Use cautiously with asthma, diabetes, gout, kidney disease, liver disease, muscle problems, stroke, or with a history of these conditions. Avoid dehydration. Avoid if pregnant or breastfeeding. DHEA: DHEA (dehydroepiandrosterone) is a hormone made in the human body and secreted by the adrenal gland. The ability of DHEA to increase bone density is under investigation. Effects are not clear at this time. Avoid if allergic to DHEA. Avoid with a history of seizures. Use with caution in adrenal or thyroid disorders or with anticoagulants, or drugs, herbs or supplements for diabetes, heart disease, seizure, or stroke. Stop use two weeks before surgery/dental/diagnostic procedures with bleeding risk, and do not use immediately after these procedures. Avoid if pregnant or breastfeeding. Evening primrose oil: Primrose oil has been suggested as a possible treatment for osteoporosis. Well-designed human trials are needed before primrose oil can be recommended for osteoporosis therapy. Gamma linolenic acid (GLA): Gamma linolenic acid (GLA) is a dietary omega-6 fatty acid found in many plant oil extracts. Some clinical evidence suggests that GLA and eicosapentaenoic acid (EPA) enhance the effects of calcium supplementation for osteoporosis. More clinical studies are required to better determine effectiveness. Horsetail: Silicon may be beneficial for bone strengthening. Because horsetail (Equisetum arvense) contains silicon, it has been suggested as a possible natural treatment for osteoporosis. Preliminary human study reports benefits, but more detailed research is needed before a firm recommendation can be made. People with osteoporosis should speak with a qualified healthcare provider about possible treatment with more proven therapies. Avoid if allergic or hypersensitive to horsetail or nicotine. Avoid with a history of chronic alcohol abuse, malnutrition, and kidney disorders. Use cautiously with abnormal heart rhythms, diabetes, gout, neurological disorders, and osteoporosis. Avoid in children. Avoid if pregnant or breastfeeding. Phosphates, phosphorus: Early research shows that high amounts of phosphorus may have negative effects on bone density. This is because phosphorus decreases bone formation and increases bone resorption. Additional study is needed in this area. Physical therapy: Supervised or home-based physical therapy has been used in combination with resistance and endurance training in physically frail elderly women taking hormone replacement therapy to improve bone density. Although early study is promising, more studies are needed in this area. Not all physical therapy programs are suited for everyone, and patients should discuss their medical history with a qualified healthcare professional before beginning any treatments. Physical therapy may aggravate pre-existing conditions. Persistent pain and fractures of unknown origin have been reported. Physical therapy may increase the duration of pain or cause limitation of motion. Pain and anxiety may occur during the rehabilitation of patients with burns. Both morning stiffness and bone erosion have been reported in the literature although causality is unclear. Erectile dysfunction has also been reported. Physical therapy has been used in pregnancy and although reports of major adverse effects are lacking in the available literature, caution is advised nonetheless. All therapies during pregnancy and breastfeeding should be discussed with a licensed obstetrician/gynecologist before initiation. Red clover: Red clover (Trifolium pratense) is a legume, which like soy, contains "phytoestrogens" (plant-based chemicals that are similar to estrogen, and may act in the body like estrogen or may actually block the effects of estrogen). It is not clear if red clover isoflavones have beneficial effects on bone density. Most studies of isoflavones in this area have looked at soy, which contains different amounts of isoflavones, as well as other non-isoflavone ingredients. More research is needed to better understand the effects of red clover on osteoporosis. Avoid if allergic to red clover or other isoflavones. Use caution with hormone replacement therapy (HRT) or birth control pills. Use caution with history of a bleeding disorder, breast cancer, or endometrial cancer. Use caution with drugs that thin the blood. Avoid if pregnant or breastfeeding. Soy: It has been theorized that phytoestrogens in soy (such as isoflavones) may reduce the risk of osteoporosis. However, more research is needed before a conclusion can be made. Avoid if allergic to soy. Breathing problems and rash may occur in sensitive people. Soy, as a part of the regular diet, is traditionally considered to be safe during pregnancy and breastfeeding, but there is limited scientific data. The effects of high doses of soy or soy isoflavones in humans are not clear, and therefore are not recommended. People who experience intestinal irritation (colitis) from cow's milk may experience intestinal damage or diarrhea from soy. It is not known if soy or soy isoflavones share the same side effects as estrogens, like increased risk of blood clots. The use of soy is often discouraged in patients with hormone-sensitive cancers, such as breast, ovarian, or uterine cancer. Other hormone-sensitive conditions such as endometriosis may also be worsened. Patients taking blood-thinning drugs like warfarin should check with a doctor and pharmacist before taking soy supplementation. Tai chi: Tai chi is a system of movements and positions believed to have developed in 12th Century China. Tai chi techniques aim to address the body and mind as an interconnected system and are traditionally believed to have mental and physical health benefits to improve posture, balance, flexibility, and strength. Preliminary research suggests that tai chi may be beneficial in delaying early bone loss in postmenopausal women and preventing osteoporosis. Additional evidence and long-term follow-up is needed to confirm these results. Vitamin D: Some evidence implies that steroids may impair vitamin D metabolism, further contributing to the loss of bone and development of corticosteroid-induced osteoporosis. 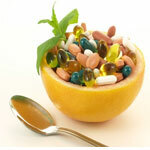 There is limited evidence that vitamin D may be beneficial to bone strength in individuals taking long-term steroids. In early research, supplementation with vitamin D2 has been reported to reduce seizure frequency in patients with anticonvulsant-induced osteomalacia. Further study is needed to confirm these results. Osteoporosis in patients with cystic fibrosis is due to fat malabsorption, which leads to a deficiency of fat-soluble vitamins such as vitamin D. Oral calcitriol administration appears to increase absorption of calcium and lower parathyroid concentrations. Vitamin K: Vitamin K appears to prevent bone resorption, and adequate dietary intake is likely necessary to prevent excess bone loss and for osteoporosis prevention. Elderly or institutionalized patients may be at particular risk and adequate intake of vitamin K-rich foods should be maintained. 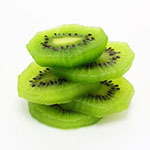 Unless patients have demonstrated vitamin K deficiency, there is no evidence that additional vitamin K supplementation is helpful. Avoid if allergic or hypersensitive to vitamin K. Injection into the muscle or vein should only be done by a healthcare professional; many serious side effects have occurred after injection. Menadiol (type of vitamin K that is not available in the United States) should be avoided with glucose-6-phosphate dehydrogenase deficiency. 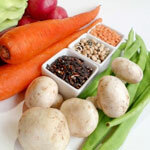 Conditions that interfere with absorption of ingested vitamin K may lead to deficiency, including short gut, cystic fibrosis, malabsorption (various causes), pancreas or gall bladder disease, persistent diarrhea, sprue, or ulcerative colitis. Avoid if pregnant. Use cautiously if breastfeeding. Black cohosh: Black cohosh is a popular herbal remedy that is used to treat menopausal symptoms, such as hot flashes, migraine headache, mood changes, sleep changes, sweating, fast heartbeat, and vaginal dryness. 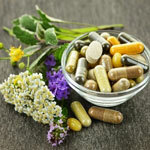 Although black cohosh has been suggested as a potential way to treat or prevent osteoporosis, human evidence is currently lacking. Use cautiously if allergic to members of the Ranunculaceaefamily, such as buttercups or crowfoot. Use cautiously with hormone-sensitive conditions (e.g. breast cancer, ovarian cancer, uterine cancer, or endometriosis). Use cautiously if allergic to aspirin products, nonsteroidal anti-inflammatory drugs (NSAIDs), or blood-thinners. 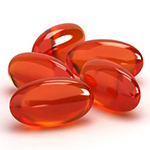 Use cautiously if taking hormone replacement therapy or blood pressure-lowering medications. Use cautiously with seizures, thromboembolic disease, stroke, or liver disease. Chondroitin sulfate: Chondroitin was first extracted and purified in the 1960s. Today, it is manufactured from natural sources (such as shark or beef cartilage) or by artificial means. Human research is needed to determine if chondroitin sulfate is an effective treatment for osteoporosis. Use cautiously if allergic to chondroitin sulfate products. Avoid with prostate cancer or if at risk of developing prostate cancer. Use cautiously with asthma or bleeding disorders. Use cautiously if taking blood-thinners. Avoid if pregnant or breastfeeding due to a lack of safety evidence. Shark cartilage: Shark cartilage is one of the most popular supplements in the United States with over 40 brand name products sold. Shark cartilage has been suggested as a potential treatment for osteoporosis. However, human evidence of effectiveness is currently lacking. Avoid if allergic to shark cartilage or any of its ingredients (such as chondroitin sulfate or glucosamine). Use cautiously if allergic to sulfur. Use cautiously with coronary artery disease, peripheral vascular disease, liver disorders, diabetes, or kidney disorders. Avoid in children or if pregnant or breastfeeding. Smoking cessation: Smokers lose bone more rapidly than nonsmokers. Among 80 year olds, smokers have up to 10% lower bone mineral density, which translates into twice the risk of spinal fractures and a 50% increase in risk of hip fracture. Fractures heal slower in smokers, and are more apt to heal improperly. Alcohol in moderation: Excessive alcohol has been associated with osteoporosis due to the degenerative metabolic effects of alcohol. Alcohol excess may inhibit calcium absorption and bone formation. Healthy body weight: Being underweight is a risk factor for osteoporosis. Staying within a healthy weight for an individual is important. Extreme thinness is a risk factor for osteoporosis. The onset of anorexia nervosa frequently occurs during puberty, the time of life when maximal bone mass accrual occurs, thereby putting adolescent girls with anorexia nervosa at high risk for reduced peak bone mass. Sunlight: Healthcare professionals recommend sun exposure of 15 minutes a day to hands and face to help the body make vitamin D. Vitamin D helps calcium be absorbed and used by the body. Avoid overexposure to the sun. Diet: A high protein diet or high coffee consumption increases calcium loss and may increase the calcium needs for the body. Fiber, oxalates (in rhubarb, spinach, beets, celery, greens, berries, nuts, tea, cocoa), and high zinc foods (such as oysters and red meats) decrease absorption, requiring taking more calcium in dietary supplement form. The plant estrogens found in soy help maintain bone density and may reduce the risk of fractures, particularly in the first 10 years after menopause. Exercise: The amount and type of exercise will vary depending on age and bone health. An exercise program should be individually tailored to the individual's needs and capabilities. Overall, most individuals should aim to exercise for 30-40 minutes three to four times each week, with some weight-bearing and resistance exercises in the program. Although exercise is important in the prevention of osteoporosis, women and teenage girls who exercise to an extreme degree can develop amenorrhea (cessation of menstruation) due to estrogen deficiency. Estrogen deficiency in younger women contributes to bone loss, in much the same way that estrogen deficiency after menopause does. Both male and female athletes who practice excessive exercise without adequate caloric intake are at heightened risk of osteoporosis. Athletes who train hard while trying to keep their weight below a certain level for competitive reasons are at particularly high risk. Eliminating fall hazards: If an individual has osteoporosis, it is important not only to help prevent further bone loss, but also to prevent a fracture. Eliminating hazards in the house that can increase the risk of falling is important. Removing loose wires or throw rugs, installing grab bars in the bathroom and non-skid mats near sinks and in the tub, and not walking in slick shoes or socks is recommended by healthcare professionals. 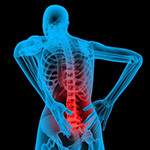 Healthcare professionals also recommend caution when carrying or lifting items, as this could cause a spinal fracture. Wearing sturdy shoes is important. Using a cane or walker is recommended by healthcare professionals if the individual has balance problems or other difficulties walking. Brown SA, Guise TA. Drug insight: the use of bisphosphonates for the prevention and treatment of osteoporosis in men. Nat Clin Pract Urol. 2007;4(6):310-20. Lata PF, Elliott ME. Patient assessment in the diagnosis, prevention, and treatment of osteoporosis. Nutr Clin Pract. 2007;22(3):261-75. Middleton ET, Steel SA. The effects of short-term hormone replacement therapy on long-term bone mineral density. Climacteric. 2007;10(3):257-63. Shen M, Kim Y. Osteoporotic vertebral compression fractures: a review of current surgical management techniques. Am J Orthop. 2007;36(5):241-8. Straub DA. Calcium supplementation in clinical practice: a review of forms, doses, and indications. Nutr Clin Pract. 2007 Jun;22(3):286-96. Swanenburg J, de Bruin ED, Stauffacher M, et al. Effects of exercise and nutrition on postural balance and risk of falling in elderly people with decreased bone mineral density: randomized controlled trial pilot study. Clin Rehabil. 2007;21(6):523-34. The strength of bones depends on their size and density. Bone density depends in part on the amount of calcium, phosphorus, boron, and other minerals that bones contain. When bones contain fewer minerals than normal, they are less strong and eventually lose their internal supporting structure. Genetic and environmental factors, such as diet and exercise, also affect bone strength. There are many reasons that bone becomes less dense than normal. Bone is continuously changing. New bone is made and old bone is broken down in a process called remodeling, or bone turnover. A full cycle of bone remodeling takes about two to three months. When an individual is young, the body makes new bone faster than it breaks down old bone, and bone mass increases. Individuals reach their peak bone mass in the mid-30s. After that, bone remodeling continues, but slightly more bone is lost than is gained. In women at menopause, when estrogen levels drop, bone loss increases dramatically. Although many factors contribute to bone loss, the leading cause in women is decreased estrogen production during menopause.When women go through menopause, their estrogen levels drop to one-third of what these levels were during the childbearing years. Estrogen increases bone density by helping to block bone resorption. The risk of developing osteoporosis depends on how much bone mass was attained between ages 25 and 35 (peak bone mass) and how rapidly the individual loses it later. The higher the peak bone mass, the more bone the individual has and less likely to develop osteoporosis as they age and less likely to suffer major bone loss. Not getting enough vitamin D and calcium in the diet and enough exercise may lead to a lower peak bone mass and accelerated bone loss later in life. Gender: Fractures from osteoporosis are about twice as common in women as they are in men. Although women are four times more likely than men to develop the disease, men also suffer from osteoporosis. Women develop osteoporosis more often because they start out with lower bone mass and tend to live longer. They also experience a sudden drop in estrogen at menopause that accelerates bone loss. Slender, small-framed women are particularly at risk. Men who have low levels of the male hormone testosterone also are at increased risk. From age 75 years on, osteoporosis is as common in men as it is in women. It is estimated that around 40% of U.S. Caucasian women and 13% of U.S. Caucasian men aged 50 years and older will experience at least one fracture due to bone loss in their lifetime. It is also estimated that in the United States, 54% of postmenopausal Caucasian women are osteopenic and 30% are osteoporotic, and by the age of 80, 27% of Caucasian women are osteopenic and 70% are osteoporotic. Age: Bones weaken during normal aging in a process called resorption. As individuals age, whether male or female, there is an average loss of 0.5% bone mass every year after age 50. Race: Caucasians and Southeast Asians are at the greatest risk of osteoporosis. African American and Latino men and women have a lower but still significant risk of osteoporosis-related fractures. Family history: Osteoporosis is, in part, hereditary. Having a parent or sibling (brother or sister) with osteoporosis puts the individual at greater risk, especially if the individual also has a family history of bone fractures. An individual with a family member who has osteoporosis has a 50-85% increased risk of developing osteoporosis. Frame size: Men and women who are exceptionally thin or have small body frames tend to have higher risk because they may have less bone mass to draw from as they age. Smoking: The impact of cigarette smoking on bone health is not well understood. Smoking may cause a decrease in bone density due to smoking itself or to other risk factors, such as general health. Smokers are usually thinner than nonsmokers, tend to drink more alcohol, may be less physically active, and have poor diets. Women who smoke also tend to have an earlier menopause than nonsmokers. These factors place many smokers at an increased risk for osteoporosis apart from their tobacco use. In addition, most studies on the effects of smoking suggest that smoking increases the risk of having a fracture. Results have found that the longer an individual smokes and the more cigarettes consumed, the greater the risk of fracture in old age. Smokers who fracture may take longer to heal. Significant bone loss has been found in older women and men who smoke. Studies suggest second-hand smoke exposure during youth may increase the risk of developing low bone mass. Also, women who smoke often produce less estrogen and tend to experience menopause earlier than nonsmokers. Smoking cessations appears to reduce the risk of low bone mass and fractures. Estrogen levels: The longer a woman is exposed to estrogen, the lower her risk of osteoporosis. Women have a lower risk if they have a late menopause or they began menstruating at an earlier than average age. However, a history of abnormal menstrual periods, experiencing menopause earlier than the late 40s, or having the ovaries surgically removed before age 45 without receiving hormone therapy may also increase the risk of developing osteoporosis. Health conditions: Health conditions caused by hormone imbalances, such as hyperthyroidism (too much thyroid hormone), hyperparathyroidism (too much parathyroid hormone), and Cushing's syndrome (too much adrenal hormone) may increase the risk for osteoporosis because they interfere with the regulation of the hormones that regulate remodeling. Gastrointestinal disorders, such as celiac disease and Crohn's disease, which affect absorption of calcium and vitamin D also increase the risk. Early onset menopause brought on by the removal of the uterus (hysterectomy) and the complete removal of the ovaries (oophrectomy) is associated with osteoporosis. For men, alcoholism is one of the leading risk factors for osteoporosis. Excess consumption of alcohol reduces bone formation and interferes with the body's ability to absorb calcium. Individuals who experience serious depression have increased rates of bone loss. Depression activates the sympathetic nervous system, which responds to impending danger or stress, causing the release of a chemical compound called noradrenaline that harms bone-building cells. Women and men with eating disorders, such as anorexia nervosa or bulimia, are at higher risk of lower bone density in their lower backs and hips. Eating disorders have significant physical consequences. Affected individuals can experience nutritional and hormonal problems that negatively impact bone density. Low body weight in females causes the body to stop producing estrogen, resulting in a condition known as amenorrhea, or absent menstrual periods. Low estrogen levels contribute to significant losses in bone density. In addition, individuals with anorexia often produce excessive amounts of the adrenal hormone cortisol, which is known to trigger bone loss. Other problems, such as a decrease in the production of growth hormone and other growth factors, low body weight, calcium deficiency, and malnutrition, all contribute to bone loss in individuals with eating disorders. Weight loss, restricted dietary intake, and testosterone deficiency may be responsible for the low bone density found in males with the disorder. Studies suggest that low bone mass (osteopenia) is common in people with anorexia and that it occurs early in the course of the disease. Girls with anorexia are less likely to reach their peak bone density and therefore may be at increased risk for osteoporosis and fracture throughout life. Medications: Certain medications may decrease the body's ability to absorb calcium and may increase the risk of developing osteoporosis. Postmenopausal women who have had breast cancer are at increased risk of osteoporosis, especially if they were treated with medications such as anastrozole (Arimidex®), letrozole (Femara®), and exemestane (Aromasin®), which suppress estrogen. Women treated with tamoxifen (Nolvadex®) do not seem to develop an increase in bone loss. Diuretics, or medications that prevent buildup of fluids in the body, can cause the kidneys to excrete more calcium, leading to thinning bones. Diuretics that cause calcium loss include furosemide (Lasix®), bumetanide (Bumex®), ethacrynic acid (Edecrin®), and torsemide (Demadex®). Long-term use of the blood-thinning medication heparin, the drug methotrexate (Rheumatrex®), some anti-seizure medications such as phenytoin (Dilantin®), and aluminum-containing antacids such as Amphojel®, may also lead to bone loss. Cholestyramine (Questran®), used to control blood cholesterol levels, may decrease calcium absorption and increase the risk of osteoporosis. Gonadotropin-releasing hormones (such as Lupron®) used for the treatment of endometriosis may also decrease calcium absorption and increase the risk of osteoporosis. Corticosteroids, such as prednisone (Deltasone®), may lead to osteoporosis. Approximately 30-50% of individuals taking corticosteroids long-term develop osteoporosis. Relatively short courses (two to three months) of more than 7.5 milligrams of prednisone (Deltasone®) can cause significant bone loss. The common long-term use of corticosteroids in conditions, such as rheumatoid arthritis, results in a dramatic increase in vertebral and ultimately hip fracture rates. 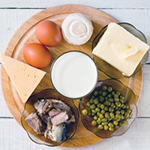 Low calcium intake: A lifelong lack of calcium plays a major role in the development of osteoporosis. Low calcium intake contributes to poor bone density, early bone loss, and an increased risk of fractures. 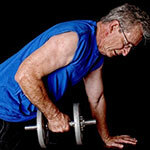 Lack of exercise: Exercise can increase bone density at any age. Children who are physically active and consume adequate amounts of calcium-containing foods have the greatest bone density. Excess soda consumption: The link between osteoporosis and caffeinated sodas is not clear, but caffeine and phosphoric acid in the drinks may interfere with calcium absorption. Caffeine is also a diuretic, which may increase mineral loss.